On her homestead in the middle of twenty million acres of national Park, Aleut P.I. Kate Shugak is caught up in spring cleaning, unaware that just miles away another Park rat is planning a massacre. When the sound of gunfire finally dies away, nine of his neighbors lie dead in the snow. But did he kill all nine, or only eight? The ninth victim was killed with a different weapon. 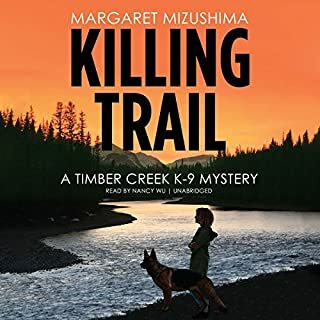 It’s up to Kate and her husky-wolf sidekick Mutt to untangle the life of the dead blonde with the tarnished past and find her killer. It won’t be easy; every second Park rat had a motive. Was it one of her many spurned lovers? Was a wife looking for revenge? Or did a deal with an ivory smuggler go bad? ©2011 Dana Stabenow (P)2011 Brilliance Audio, Inc. 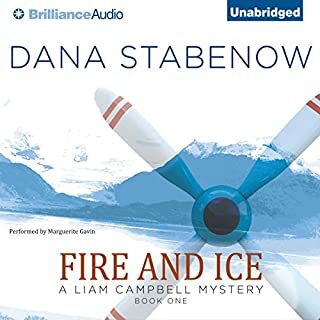 I am a big fan of Stabenow's books, especially the Kate Shugak mystery series. The Alaska setting lends much to the story, as does the cultural elements. This book shows us a potlatch ceremony, giving us a taste of the history and culture of the area, as well as furthering the story with the interaction between the characters. Gavin delivers -- always. She IS the voice of Kate and does well bringing the other characters to life as well. And for me, there cannot be enough scenes with Mutt. LOVE, LOVE the interaction between Kate and Mutt. I bought this from Audibles daily deals and was pleasantly surprised. The Alaskan setting is described very well, the great detail helped it to really become part of the story. The characters are believable, they fit right into the setting and you can see how their personalities are developed and influenced by their rural environment. I liked Kate, the capable, independent gal that the police commission to root out, who among the locals may be a murderer. Her best friend and work partner is a female, wolf/husky, named Mutt who is quite a character. Kate's no nonsense determination makes it fun to follow her investigation. 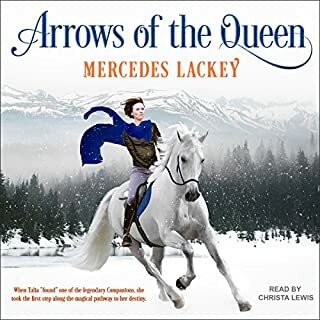 Marguerite Gavin's narration was a little rough for me in the beginning but definitely grew on me as the book progressed. She adds a little something to Kate's Character. Overall a fun listen. 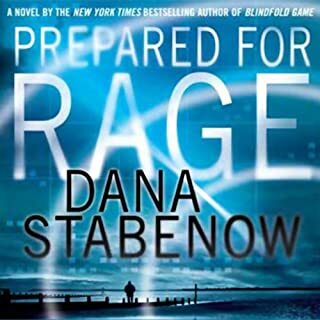 This is the second book in Dana Stabenow's, Kate Shugak series and I've really enjoyed both books. I like the story, the characters. The narrator is wonderful. I've no doubt that in one form or another I will either read or listen to all of them. I just wish they would get more of the unabridged ones on audible. The next seven are missing. arrrrggghhh. This is the second in the Kate Shugak series and another fun read. Kate investigates a murder of opportunity. Good--Stabenow’s descriptions of a modern potlatch and spring in the Arctic. Marguerite Gavin, again, does a great job on the narration. Stabenow exquisitely describes the mountains in this tale--I wonder why she just doesn't use the real names? This second book in the series had a stronger plot than the first. Where's #3? Good story without a deep plot. Made you feel like you were there. Read if you like animals and being out in the wilderness. I loved this book. The final scene was spectacular and made me want to be there myself. The plot was really good, and made sense if your from a small community of any kind. Nice that it took so long to come together and reveal. 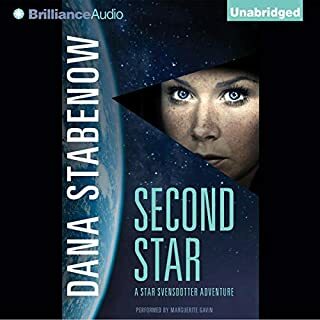 I have found that I enjoy Dana Stabenow stories .She is delightful in ,bringing out the process of each character 's personality. There are so many referenceses to Alaska towns ,streets, and short language of the native population. Another great mystery to the series! I'm really starting to like the characters - great, easy listens while driving to and from work! Would recommend this series! 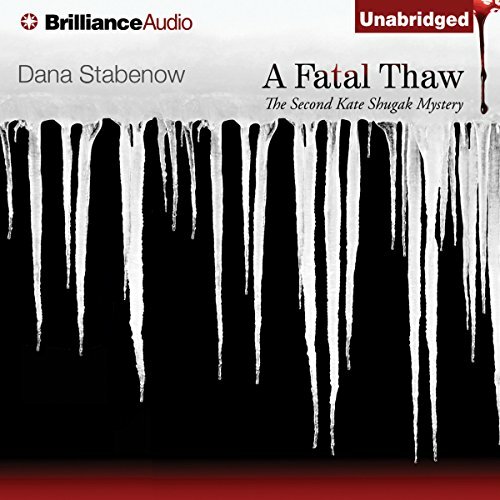 "A Fatal Thaw", the second Kate Shugak book, is a substantial improvement on the first: the plot is more complicated, the characterization is stronger, the descriptions of Alaska and its people are sharp, vivid and memorable. This was the book that made me eager to read the rest of the series. 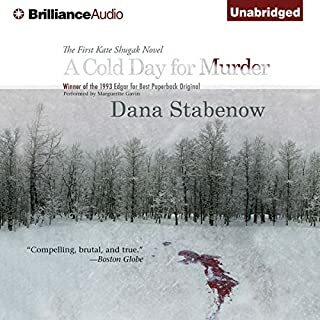 Dana Stabenow makes Alaska a character in her books. In " A Fatal Flaw" we experience the ferocious beauty of Alaska's mountains via an avalanche that Dana Stabenow makes frighteningly real. The plot of the book provides a vehicle for exploring life in a very small bush town. Kate has to dig through the things people would like to keep secret, the histories they hide, the passions they disguise, the failings that are usually politely ignored unless someone turns up dead. The spree-killer at the start of the book, who goes from homestead to homestead, shooting everyone he can find, pulls out a darker aspect of Alaska, which is famous for attracting the strange loners. The way Kate and Mutt bring him down is also a lesson in Alaska. Here you can't wait for the police to arrive. You have to act, and it you're Kate Shugak, you have to do more than protect yourself, you have to stop the killing. If you're Mutt, you have to do whatever it takes to keep Kate safe. What really lifted the book above the norm for me was finding out more about Kate. It becomes clear that Kate is hiding out on her homestead, isolating herself so that she can get through life one day at a time after the trauma she's been through. It's equally clear that her former boss and many members of her community expect more of her. No-one is in the least surprised that it is Kate who takes down the killer at the beginning of the book and no-one objects when she is asked to investigate further. Kate engages in the investigation reluctantly. It doesn't fill her with the joy of the hunt. . She understands and empathises with the weaknesses of the people around her and is mindful of their privacy. She is not motivated by enforcing the law. She acts to bring a natural justice that will restore people's ability to live as neighbours and to live with themselves. By the end of novel, it's clear that Kate has started slowly to re-engage with the world, her culture and her community. Dana Stabenow captures this through a memorable and moving account of Kate at a Potlatch for the dead where she dances with an Elder and begins her own emotional thaw. This is a very good story but I don't think I will read anymore in this series. It is always Kate to the rescue. The men in this series seem weak and lazy. As strong and intelligent as Kate is, she seems to be a weak idiot when it comes to the lead male character Jack Morgan. She gives in to him in more ways than one. Kate calls everyone to the carpet and lives her life by her own rules but as a strong female character I find her lacking. Like I said. The story is good. The plot is full of well developed characters. I love the dog Mutt. Ever since I started reading these books I have been wondering if I can move to Alaska and become a wilderness woman.